Summer Course (Re)Design Season begins anew; that in mind, we’re running the 4-part course design tapa series: short bites moving from scanning the environmental context to setting outcomes to planning activities and assessments. Enjoy this second tapa in the series, on creating learning / learner outcomes. You’ll find Parts 3 & 4 – on activities and assessments – reblogged the first Monday in July. 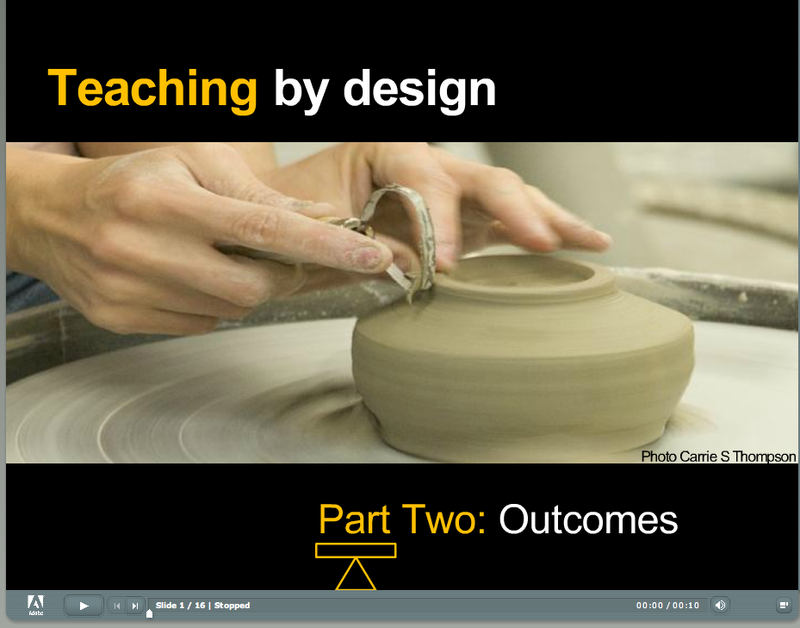 Part 2 in our Teaching by Design Series focuses on learning outcomes. An analogy I like to use to illustrate the importance of well-written learning outcomes for course design is the importance of the photograph of the finished product on a jigsaw puzzle box for assembling the puzzle. You could assemble the puzzle without the photograph to guide you, but it would take you more time than assembling the pieces with the photograph in front of you. Similarly in course design, you could create an entire course without using learning outcomes to guide you, but the process will not be as efficient as the situation where you begin with a clear idea of what you want your students to be able to do at the end of your course.